ACES Connections Consultancy Inc. is a leader in Canadian immigration services with our workforce accumulating a combined total of over 25 years experience in helping applicants achieve their goals of immigrating to Canada . 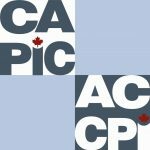 We know first-hand of the unique aspect of the “migration experience” and living in Canada as immigrants. ACES offers the best knowledge and experience in providing our valued clients with the best in customer service and satisfaction. With our exciting lines of immigration packages and value-added services, we at ACES help our clients and our affiliates create the opportunities that they have been waiting for. 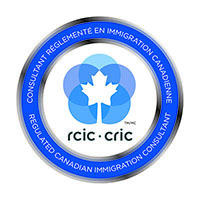 Our cases are handled by our head office in Saskatchewan, Canada and are properly represented by Ms. Daphne Lavina – a member in good standing of the Immigration Consultants of Canada Regulatory Council (ICCRC). Ms. Lavina has over 17 years experience in processing immigration cases. She graduated with honours from the Humber College Immigration Certificate Program and is a Regulated Canadian Immigration Consultant (RCIC Member ID#R422615). With our Head Office based in Canada and our membership with ICCRC, you are protected by the Federal Laws and Regulations of Canada and the ICCRC from improper business practices. We have the access and authority to help you come to Canada. Being based in Canada also gives us an edge in keeping abreast with what’s going on at Citizenship and Immigration Canada and the policies and conditions that affect our clients. Our goal is not just to help clients get their visas – that is just the start. Once they are in Canada, we assist them in resettling and share with them how we did it. We monitor clients on an ongoing basis and we feel successful when we see our clients achieve what they came to Canada for.